Bucky woke up to the soft sound of Willow&apos;s breathing and to the chirping of the morning birds. Lulu ad decided that they needed to go camping, considering the massive area of forest behind Bucky and Willow&apos;s house. So they had all packed backpacks and headed into the woods. 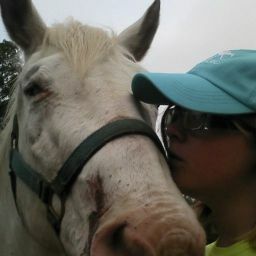 Willow had been riding her horse, Night, because there were no paths for her wheelchair. Taking someone who couldn&apos;t walk camping was harder than it sounded, but Bucky and Willow had managed. The cold November morning had begun to numb Bucky&apos;s cheeks, so he pulled his thick sleep bag up until only the top of his head was free. He glanced down at Willow, who was burrowed so deeply down into their shared sleeping bag that only a few strands of silver hair were visible. Bucky could feel her warm body snuggled up against him. 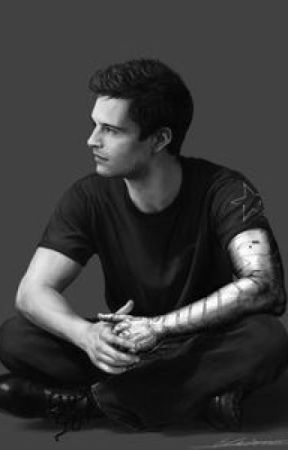 Lifting one of his arms as gently as possible, Bucky reached for for the dark green soc cap that Willow had knocked off in her sleep. "Buck, what are you doing?" Willow&apos;s tired and sleep muddled voice came from under the blanket. "Getting Your hat." Bucky pulled the cap down over Willow&apos;s ears, "There. Go back to sleep." Willow mumbled something and then curled up under the warm sleeping back and went back to sleep. Bucky smiled, wrapping his arms around Willow&apos;s sleeping body and letting his head rest on the pillow next to hers. It was so peaceful, just laying there in the woods. The only sounds were of the forest birds, the wind blowing through the leaves, and Willow&apos;s soft breathing. Laying there in the sleeping bag, with Willow snuggled up next to him; the world felt right. Of course, Bucky couldn&apos;t forget the heavy weight that sat on the foot of the sleeping bag. Their massive black dog, Sirius, who was sound asleep at their feet. Willow rolled over to face Bucky, "Morning Buck." Bucky kissed the tip of Willow&apos;s nose, "Good Morning Beautiful." "Ew. Don&apos;t turn this into a chick flick moment," Willow giggled. "You know, Buck. As sappy as this sounds, I want to freeze this moment in time right here. The sharp rocks sticking up through the floor of the tent and everything." Willow curled up against Bucky, her head resting on his good arm as they lay staring up at the ceiling of the tent. Listening to the sounds of the forest. The squirrels jumping from tree to tree, a woodpecker pecking away at a tree, two crows squabbling with each other. "I love this Buck. Lulu was right to drag us out here, we should go camping more often. I used to go all the time by myself before SHIELD." "Let&apos;s make it a once a month thing then," Bucky said. "Okay. We&apos;ll have to get you a horse so I&apos;m not the only one riding majestically while you and Lulu trip over sticks and logs in the path." Willow grinned, sitting up and kissing Bucky. The sound of the tent unzipping was followed by Lulu&apos;s voice, "Hello and good morning. Hey, am I interrupting something?" "No Lulu, your not," Bucky said wearily. "Okay, good. I&apos;m going to make breakfast If you guys want to come out of the tent. I have Willow&apos;s chair set up and everything." "Thanks Lulu," Willow sat up, and started to braid her tangled hair.